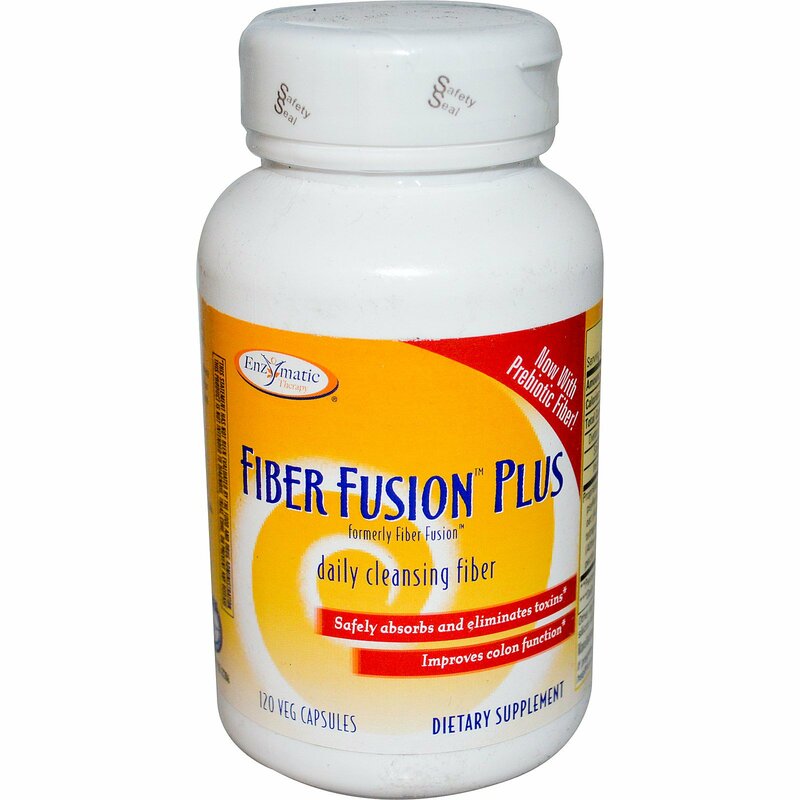 Enzymatic Therapy's Fiber Fusion Plus daily cleansing fiber contains all-natural fibers and herbs that safely absorb and eliminate toxins and improve colon function. And, it's gentle enough to be used for daily cleansing. Fiber is effective only when fully dispersed in the colon to adhere to and eliminate toxins and enhance the removal of waste products. Our True Dispersion technology ensures the fiber is completely released and dispersed throughout the colon for thorough daily cleansing. Fiber Fusion Plus is a clay-free formula. That's important, since detoxification products containing clay can deplete the body of healthy minerals, and often contain high levels of lead and other toxins. You can rely on Fiber Fusion Plus every day! Recommendations: Four capsules daily with eight ounces of water. 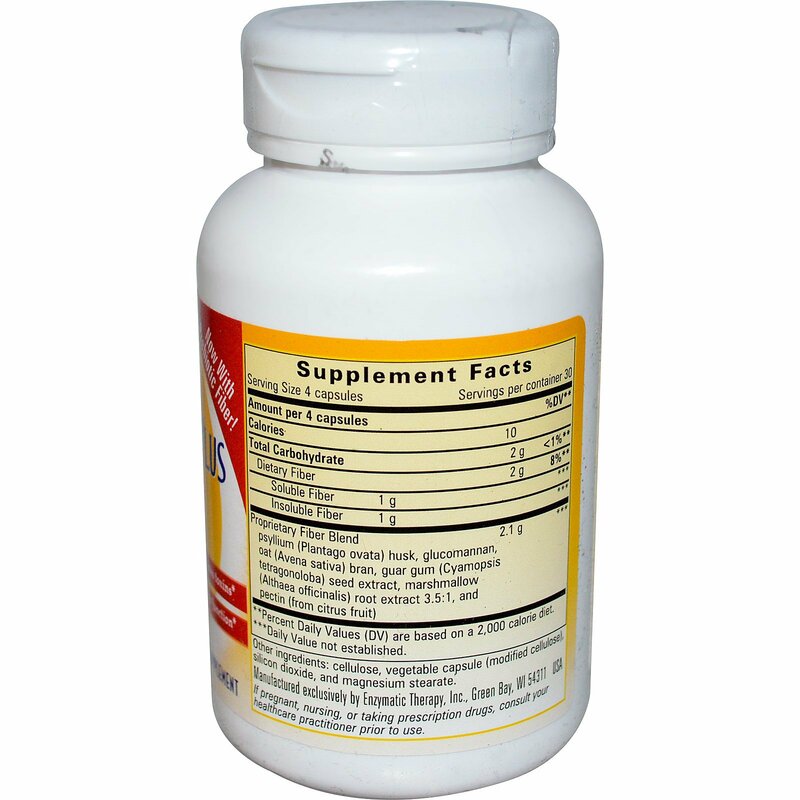 If desired, may be taken as two capsules in the morning and two capsules at night with eight ounces of water.